Something new for me to make. 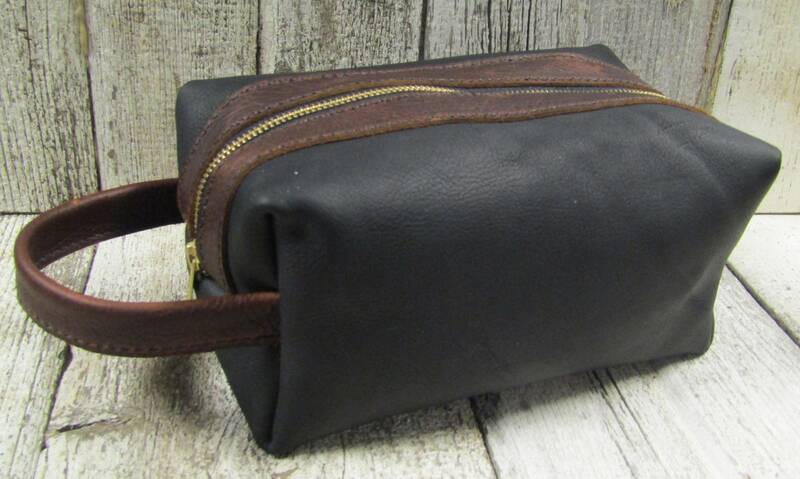 Leather Dopp kit/shave/toiletries bags! 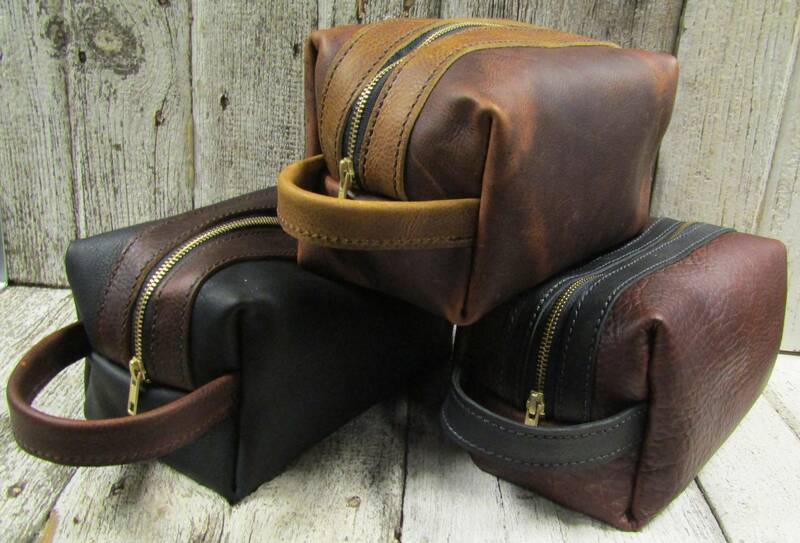 These are all made of a Kodiak oil tanned leather. 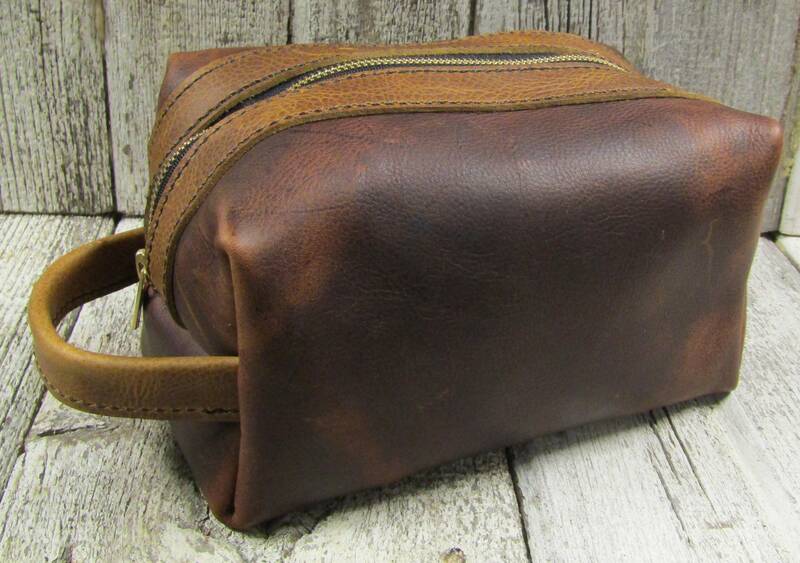 This type of leather ages very well, with the varying color and pull-up properties that will give it more character over time. The front end has a handy carrying handle. 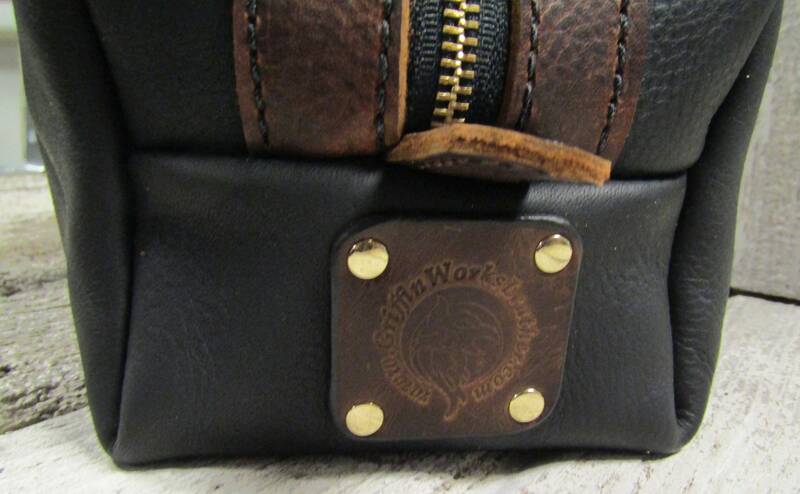 The back end has a tab to help pull the zipper, and a leather patch riveted on with the Griffin Works Leather logo stamped into it. 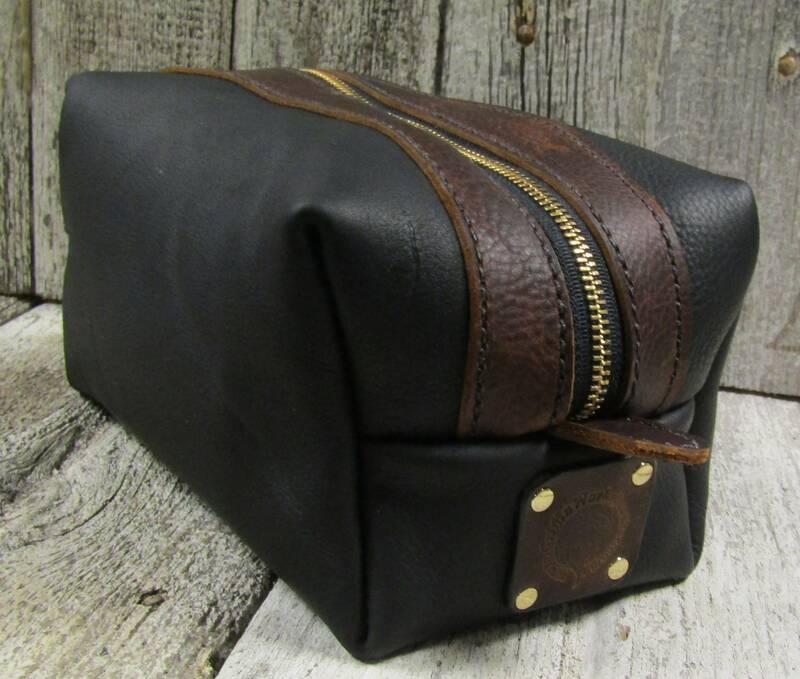 The zipper is brass to give it an antique, aged look. The body is approximately 9" long, 5" tall, 5.5" wide. 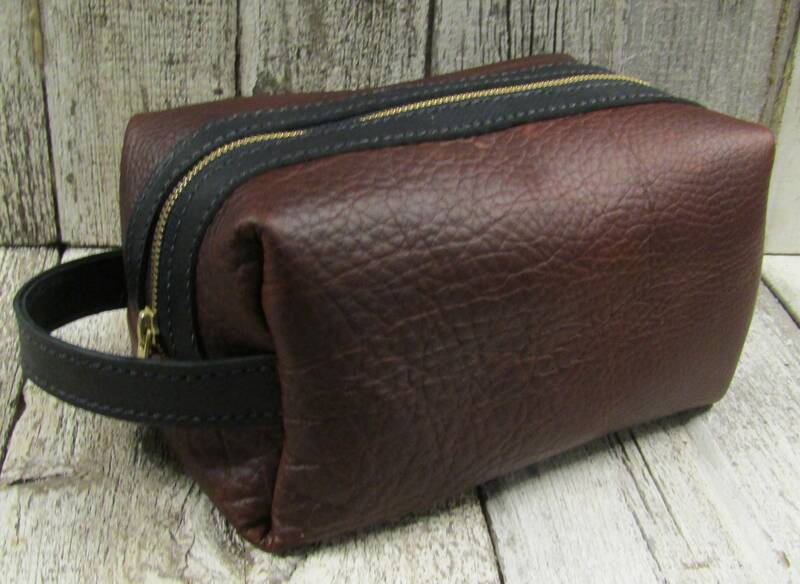 Available in three color choices! And a name/Initial plate can be added for an additional fee. If you choose a name plate, please leave a note with the single name or initials you'd like stamped into it.